Are you trying to purchase a home? If so, you need to know the difference between pre-qualification vs pre-approval. Are you considering purchasing a home? In the year 2018, it’s estimated that 6.27 billion homes were sold in the United States. Of these homes, the majority of buyers used a mortgage to help finance their home. So, before you begin shopping for your dream home, you’ll likely begin by shopping for a mortgage. Upon meeting with a mortgage lender, you’ll learn the ins and outs of what it takes to qualify for a mortgage. During this process, you’ll learn the difference between a mortgage pre-qualification vs pre-approval. While both relate to qualifying for a mortgage, there are some notable differences. If you want to learn everything about a pre-qualification vs pre-approval, this is for you. Consider this your go-to guide on everything to know about mortgage qualifications. When it comes to getting a mortgage, you’ve likely heard the terms pre-qualification and pre-approval. These are both steps that take place in the process. The pre-qualification typically takes place before the official pre-approval. This makes it the first step and it provides borrowers with a generalized idea as to how much of a loan they could qualify for. A mortgage pre-approval is the second step in the mortgage process. This is where the borrowers will be given a more detailed and accurate portrayal as to the loan they are qualifying for. 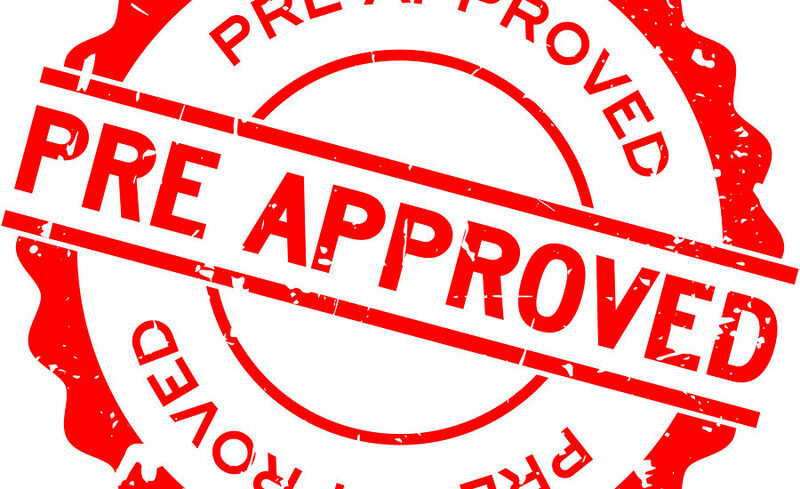 The pre-approval is the conditional commitment that actually grants the borrower a mortgage. When it comes to your mortgage pre-qualification, consider this to be your first step in attaining a mortgage. This can be conducted in person as well as over the phone or on a computer. For a pre-qualification, there is typically no cost charged to the borrower. This is because it’s relatively quick and only provides a brief outline of your potential loan. Put simply, a pre-qualification will provide you with a basic idea of the loan that you could qualify for. The estimated loan is solely based on the information that is provided to the lender. This means that none of the documents are verified and an in-depth analysis of your finances is not conducted. It’s important to understand that a pre-qualification is not enough to prove yourself as a serious buyer or lock in a mortgage. In fact, many realtors will require an official pre-approval before beginning a property search. One of the most important factors to note in with a pre-qualification is that it is based on generalized data that is submitted by the borrower. A borrower will meet with a mortgage lender to provide an outline of their financial portfolio. This portfolio may include anything from income and debts to loans and assets. This is not necessarily data that has been proven or verified by outside parties. For the sake of the estimation, it’s best for borrowers to be honest with the data they provide. The more detailed and authentic your data is, the most accurate your pre-qualification estimate will be. Some may even choose to complete the pre-qualification process over the phone or online. Once the data is internalized, the computer-generated system will then offer an estimated loan amount. As compared to a pre-qualification, a pre-approval is much more involved and thorough. With a mortgage pre-approval, borrowers can rest assured that the loan estimation is a definitive number. This is because a pre-approval is much more in-depth and requires the borrower to submit verified documentation. Once a borrower submits this information, the lender will review it. This is where your lender will ensure that the documentation provided is accurate. Upon review, the lender will be able to pre-approve the borrower for a specific amount. This number will reflect the maximum amount that the lender is willing to lend to help purchase your property. This is also when the lender and the borrower will discuss other important factors such as interest rates. By the end of the meeting, some borrowers will have even locked in their interest rate for their loan. When leaving the meeting, the borrower will have an agreement in writing that dictates their loan amount. This agreement is important as it shows both your realtor and prospective sellers that you are serious and that your finances are in order. Without this letter, both parties are unlikely to take a buyer seriously. While some lenders will charge a fee for the process, this isn’t always the case. Be sure to ask your lender upfront if there are any initial costs for the pre-approval process. With a pre-approval, you’ll want to prepare yourself for more paperwork than your pre-qualification. Here, borrowers are required to complete an official mortgage application in order to get pre-approved. While the pre-qualification requires verbal data, this pre-approval requires verified documents. Your mortgage lender will require a variety of documentation. This documentation will range from your employment letter and pay stubs to a credit report and proof of assets. You may also be asked to provide proof of a downpayment and further proof of your income. Today, over 63 percent of American homeowners have a mortgage. If you’re dreaming of one day owning a home, it’s likely that you’ll have a mortgage as well. In combination with a downpayment, a mortgage loan helps buyers fund the purchase of their property. When applying for a mortgage loan, your mortgage lender will discuss the terms associated with your mortgage. Of these terms, many will struggle with differentiating a mortgage pre-qualification vs pre-approval. Due to a lack of understanding, many borrowers are under the impression that the terms can be used interchangeably. However, there are differences between the two terms that must be understood. Are you considering purchasing a home and have questions about obtaining a mortgage? If so, don’t hesitate to contact us today for a personal consultation!